The titanium tank consists of three parts: two 3-D printed domes which will serve as caps plus a variable length traditionally manufactured titanium cylinder that forms the body. The titanium body is an ideal material because it’s both strong and lightweight and can withstand the rigors of launch and long duration missions. 3-D printing eliminates the last material for domes and the titanium can be used for printing In is available with no wait time. Engineers and technicians evaluated the structure conduct in a full suite of test to demonstrate high tolerance is and repeatability. 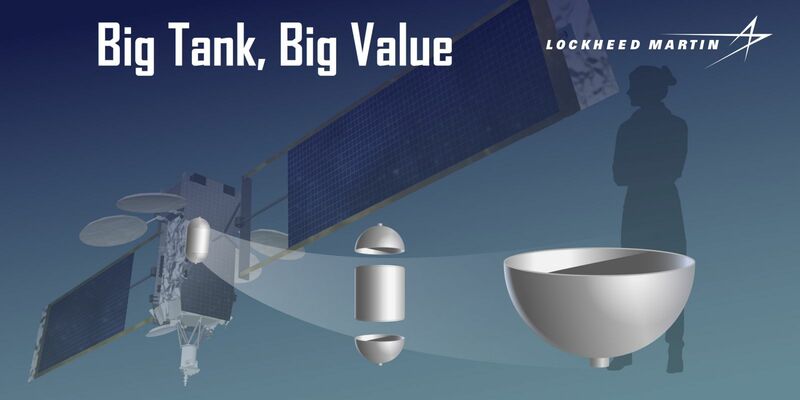 Lockheed Martin has previously built other 3-D printed parts including the electronics closure for the Advance Extremely High Frequency (AEHF) satellite program. The company also printed the first ever 3-D parts launched to deep space aboard NASA’s Juno spacecraft which is currently orbiting the gas giant Jupiter. Technicians use the electron beam additive manufacturing process to produce these domes in the largest reading printer at the facility in Denver, Colorado. This new tank is now offered at the standard product option for LM 2100 satellite buses.